Experts from Washington and Colorado, two states which legalized recreational marijuana before California, weighed in at a Capitol briefing on the best ways to design youth drug prevention and health programs using cannabis tax revenue. The March 26 event was hosted by Assemblymember Reginald Byron Jones-Sawyer Sr. (D-Los Angeles). With California’s passage of the Adult Use of Marijuana Act (Proposition 64) in 2016 comes a fund that will use marijuana tax revenue to subsidize such programs across the state. Of interest to districts and school boards is that 2019 will be the first year the state has enough money to fund youth programs through the Youth Education, Prevention, Early Intervention and Treatment Account, according to the State Controller’s office. “There is really not any money in the Youth Fund right now, but the discussions on how to design it are underway,” said Susan Bonilla, state director for the Council for a Strong America. Moderating the March 26 Capitol discussion, and meeting with legislators and Gov. Gavin Newsom’s team on the issue, the former Assemblymember Bonilla said the goal is to see Prop 64 money go toward the communities and youth populations most needing drug prevention and mental health services. Similarly, Youth Forward Executive Director Jim Keddy cited recent polling showing strong public support for prevention programs, but he also said there are some important questions to answer. “How do we really go about targeting these funds from an equity perspective and not just spreading them thinly across communities and across the state?” he asked. Washington, in 2012, was the first state to legalize recreational use of marijuana. The state now has about $20 million a year going toward prevention programs in at-risk communities, said University of Washington professor Kevin Haggerty. While the amount may not seem like a lot in California budget terms, the substance abuse and juvenile justice expert said the programs have been one factor in the state not seeing a rise in youth marijuana use despite legalization. The key to an effective system, Haggerty said, is using a clear local data monitoring system — such as the California Healthy Kids Survey — to protect those youths who are most vulnerable. By examining underlying causes and risk factors, district and community stakeholders can use data to determine how to implement programs that align with their populations and values. Sarah Mathew, director of health and wellness for the Colorado Department of Education, echoed the importance of assessing local needs and making decisions at a local level. While the state has several large, urban districts, Mathew said Colorado officials realized needs and programs would differ in suburban and rural areas. “It looks very different in each school district,” she said. Schools showed a great interest in offering drug prevention and mental health services upon Colorado’s legalization, Mathew said. “What they wanted was a person who could be trained and would be able to give prevention services to students,” she said. 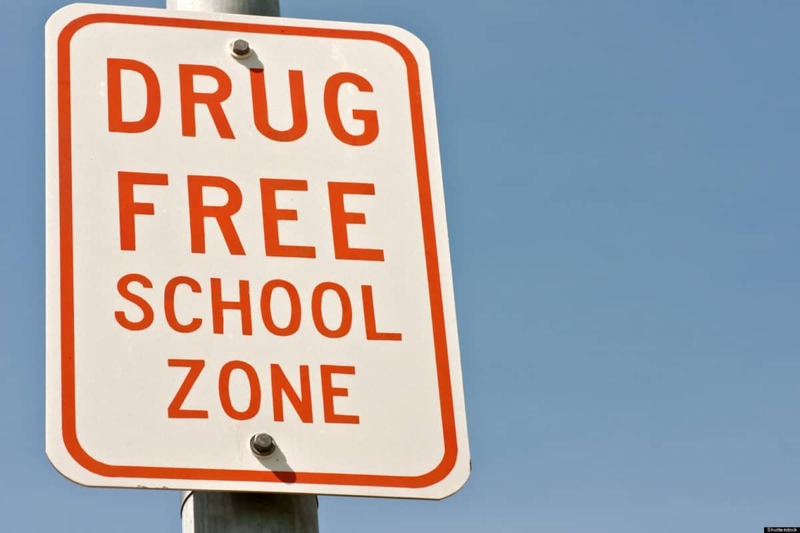 Fast-forward to 2019 and Colorado is using about $12 million in marijuana tax revenue to fund a program through which 260 schools have full-time employees trained to interact with and teach students about drug prevention and mental health issues. The staff members also train teachers and other staff — from bus drivers to librarians to custodians — about health programs so that youths have more chances to make connections at school. The recent polling for Youth Forward shows that a large majority of California voters say youth prevention programs, rather than simply treatment options, are the way to go. Three in five voters say the most effective approach to addressing drug use among young people is focusing on prevention. Voters further prioritize spending on youth mental health services (82 percent say the spending area is extremely or very important), reducing school dropout rates (77 percent) and providing services supporting homeless and foster youth (77 percent). Nearly two-thirds of voters (64 percent) agree that Gov. Newsom should lead efforts to use Prop 64 funds for public health purposes, and seven in 10 voters say Youth Fund spending should be targeted to communities most affected by the War on Drugs.